Background. In 1796, John ‘McIntosh’, from the Mohawk Valley in New York, transplanted some wild apple saplings he’d found near his homestead of Dundela, Ontario. One of the trees survived to produce fruit of such tangy allure and aromatic fragrance that it became well known in the region. 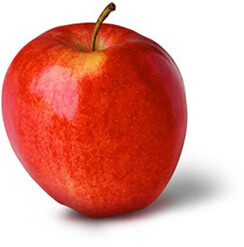 This apple gained a large following and came to be known as ‘McIntosh’ Red. The variety is thought to be related to the ‘Fameuse’ apple of the region and has been a mainstay for New York apple growers and eaters for many years. Background. Developed by Cornell University’s Geneva Experiment Station in 1898, ‘Cortland’ is a cross between the ‘McIntosh’ and ‘Ben Davis’ apples. It retains many of McIntosh’s best characteristics, but is unique in its shape and flavors. Background. 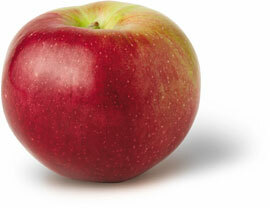 This apple is an antique variety of that originated in early American times. The exact parentage is unknown since it was a chance discovery. George Hudson stumbled across a new and delicious variety in the 1880s. He originally named it Hudson’s Pride after himself. Later on, it was grown and marketed the same as Opalescent. Background. Empire is definitely New York’s apple and is a cross between ‘McIntosh’ and ‘Red Delicious’. 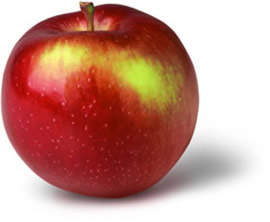 In 1989, international apple researchers ranked ‘Empire’ the 7th best apple in the world. The New York State Agricultural Experiment Station in Geneva introduced this new variety in 1966. Background. 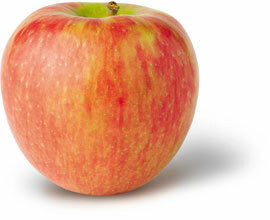 The Crispin (or Mutsu) apple is a 1930 cross between the ‘Golden Delicious’ and the Japanese variety ‘Indo’. Originally named ‘Mutsu’, it was renamed ‘Crispin’ in 1968 by the United Kingdom, and New York adopted that name several years ago. 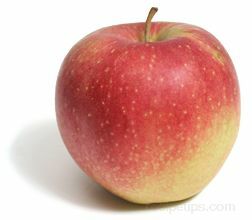 It is one of the later varieties, with a mid-October harvest in New York, and does double duty as both a fresh and processing apple. Background. 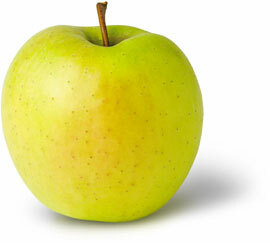 The second most popular apple variety in the world, ‘Golden Delicious’ is thought to be a cross between ‘Golden Reinette’ and ‘Grimes Golden’. It was discovered in Clay County, West Virginia in 1914 and was originally named ‘Mullin’s Yellow Seedling’. It is one of our most popular here at Stone Ridge Orchard. Background. 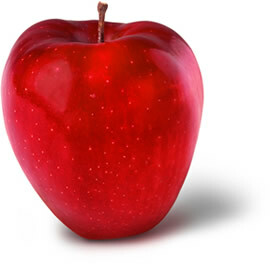 Without a doubt, ‘Red Delicious’ is the most popular variety in the world. It was discovered by a farmer named Jesse Hiatt as a chance seedling on his farm near Peru, Iowa. Twice he tried to chop it out. Once it finally fruited, he displayed it as the ‘Hawkeye’ variety at an 1893 fruit show in Missouri. The rest as they say is history. Background. 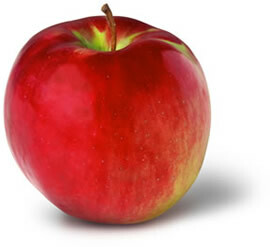 The ‘HoneyCrisp’ apple was produced from a 1960 cross between ‘Macoun’ and ‘Honeygold’, as part of the University of Minnesota apple breeding program. With strict requirements about where and how it can be grown, ‘HoneyCrisp’ is not for every grower. For those with the location and that are willing to give this apple the added attention it needs, a true treat awaits their customers. Background. Gala is a cross between Kidd’s Orange Red and Golden Delicious. In recent years, buoyed by the success of ‘Gala’ imports from New Zealand, Americans have come to love the ‘Gala’ above almost all others. Background. Macoun was developed at the New York State Agricultural Experiment Station in Geneva in 1932 and was named for a famous Canadian fruit breeder. As one of the parents of the HoneyCrisp, it has many of the characteristics it passed on to its offspring. 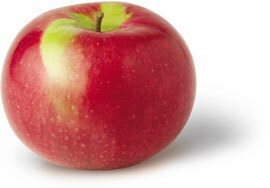 It has established itself as one the premier niche apples of the Northeast. Rarely found in grocery stores, Macoun can most easily be found in local farm markets like Apple Hill Farm. Background. 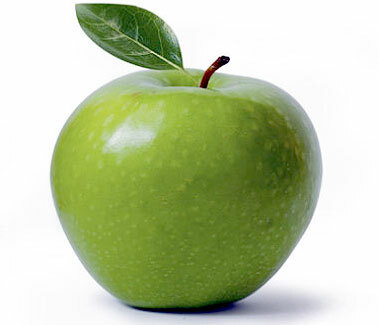 Granny Smith apples originated in Australia in 1868 when Maria Ann (Granny) Smith found a seedling growing by a creek on her property.The seedling bore light-green-colored apples that she propagated. 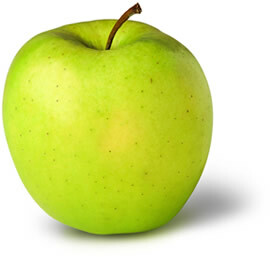 Domestic apple growers began growing this apple commercially in the late 1960s, and today Granny Smith is one of the most popular apple varieties around.